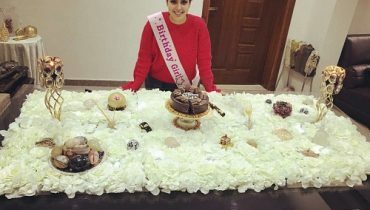 Sara Razi Khan is one of the well known young actresses of our industry She started her career as a child artist and today she is an established supporting actress of small screen. 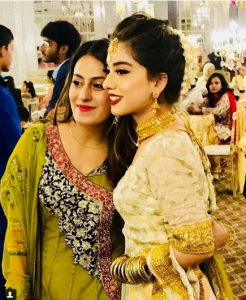 Her younger sister Arisha Razi Khan is also a famous TV actress. These two sisters have been part of drama industry for few years but have managed to gain much fame and success. 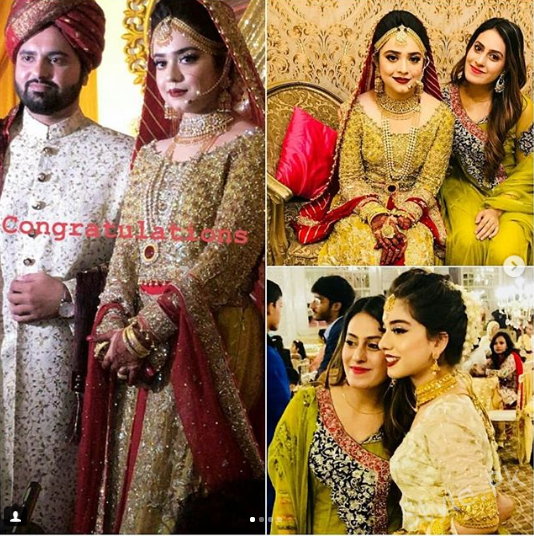 Sara Razi Khan is looking gorgeous on her wedding day. She wore beautiful golden lehnga. Have a look. 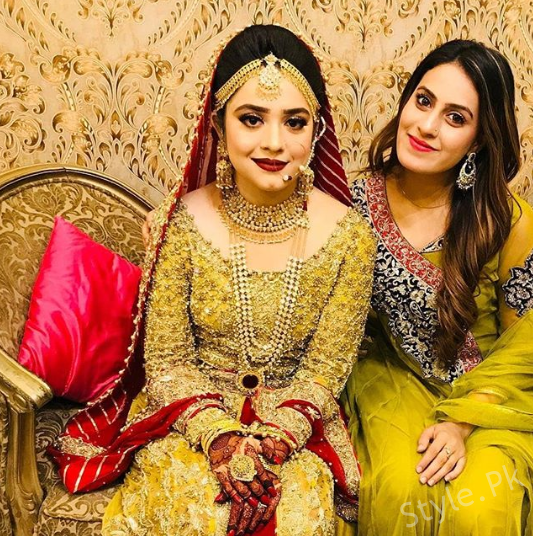 These two sisters have also worked together in some TV serials. 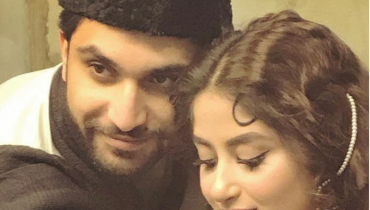 The audience of Pakistan has seen these two teen sisters growing up and grooming in front of their eyes. Sara has acted in many successful TV serials of different channels. 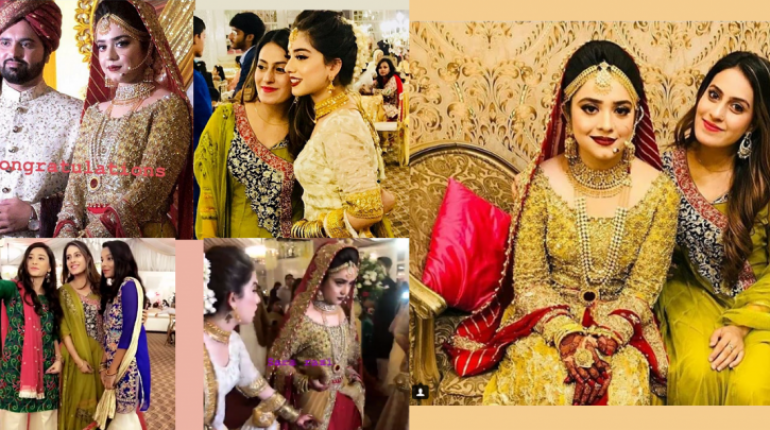 Another young actress of Pakistan television industry has entered in the next phase of her life and she is none other than the gorgeous Sara Razi Khan. 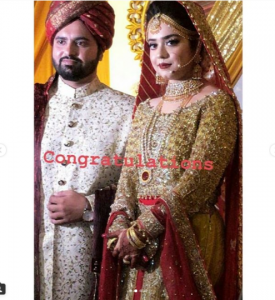 She is looking gorgeous in mehndi, Barat and mayun. 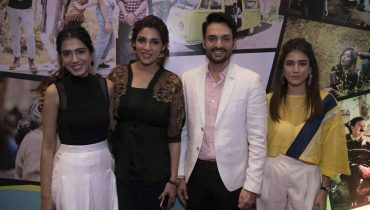 Sisters duo Sara Razi Khan and Arisha Razi Khan have been a part of drama industry for some years now. Both started as child artists and made their way up. It is not wrong to say that the audience has seen both beauties grow up before their eyes. 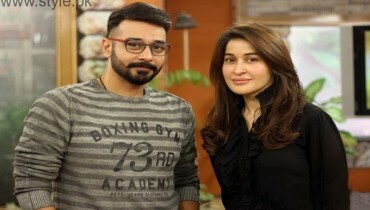 Sara Razi Khan is ready to enter the new phase of her life.